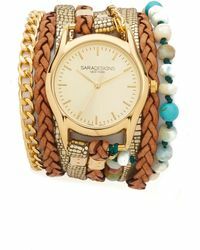 Influenced by the designer's international background and global travels, Sara Designs has received worldwide recognition for its vibrant, eclectic accessories. 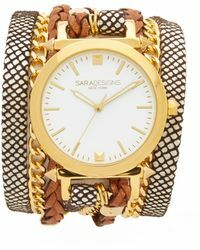 Using high-quality materials, lush leathers and fine crystals, Sara Designs watches and jewellery embrace a colourful world view with an edgy twist. 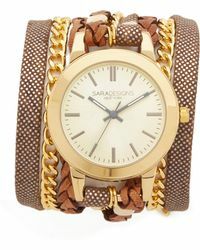 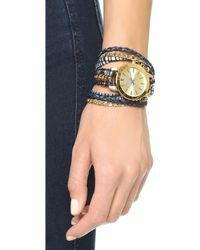 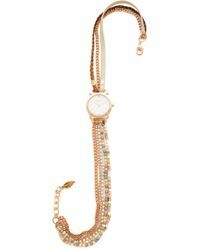 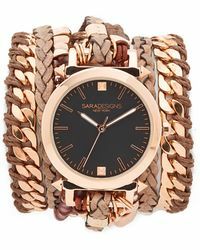 Add a directional flair to wardrobes with this collection of Sara Designs watches. 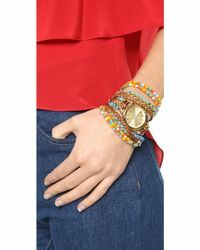 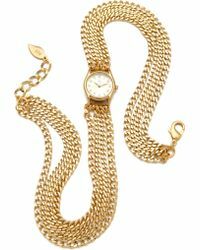 These leather chain wrap watches are perfect for making a colourful and bold statement, perfect for both day and eveningwear.